We’re considering questing and dungeon leveling standard methods for the purpose of this column. Many readers commented on the importance of being in the dungeon queue when you’re out in the world as a DPS class, and the additional speed of leveling via dungeons if you’re a tank or a healer. Up to level 80, it’s definitely faster, but can be a little tiresome. Many readers spoke of the XP gained from professions. This is a great way to both get a bit of additional XP while out in the world, for the early levels at least — as one reader pointed out you will inherently out-level your professions in the normal course of leveling, even without the XP bonuses mentioned above. But Herbalism, Mining and Archaeology all grant small amounts of experience, Archaeology seems to be the best way to go, as the XP scales up pretty nicely as you level, and you’re not limited by zone so much as you are with the linear progression found in Herbalism and Mining. Rares are both an excellent way to level and a fun way to do it. Addons like Silver Dragon or NPCScan will point out nearby rares in leveling zones, and there are usually rares in pretty much every zone, if you know where to look. Not only do they drop big chunks of XP for you, they also drop bags, gold, gear, all manner of useful items, including the aforementioned Elixir of Ancient Knowledge! Maybe it’s just us, here at WoW Insider, but taking on rares is an entertaining way to pass the time. Several readers commented on mobs that can be farmed to push through levels without following the usual routes of questing or dungeon running. Shengyin1 told us about a group of mobs in Howling Fjord — wolves and Vrykul attacking the gates of Valgarde — that can help a player past the tiresome Utgarde Keep levels. 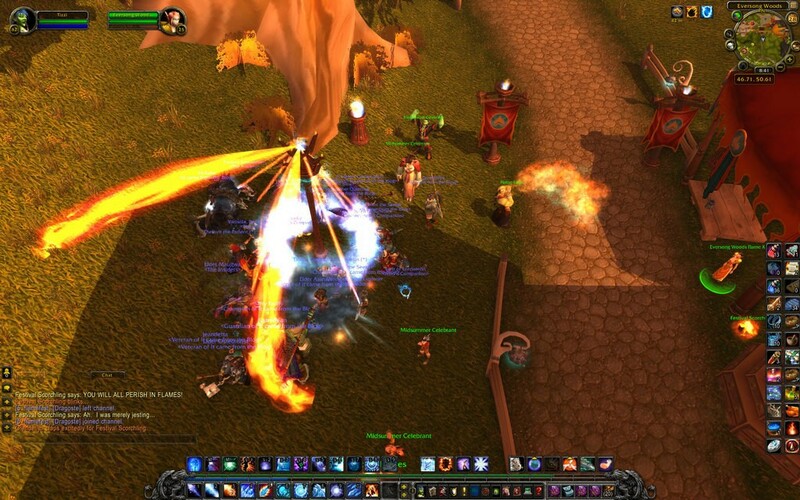 Alexi0n commented on the leveling potential of of what he referred to as Monkey Runs — going into Stormstout brewery as a 5-man group, repeatedly, and just killing every mob up to Ook-Ook, then starting again. He asserted that this is the fastest way from 85-90, but we’re not entirely sure if this is correct — it awarded less than the standard XP gain from a quest in Pandaria, so speed would be of the essence. Many commenters had their own specific leveling routes, which we haven’t the space to reproduce here, so do check out the comments on the original post. One thing which merited some comment was the best color of quest to focus on. Readers were divided on whether it was better to focus on green-yellow quests, so quests which are relatively easy to complete, versus yellow-orange quests that are a bit harder. It likely depends a lot on your skill, your location and your heirlooms! Leveling with a friend allows you to progress through much higher level zones, so bear that in mind, too.